OMG Posters! » Archive More Amazing New Posters by Landland - OMG Posters! The Chicago duo Landland just put another couple of stunning posters up for sale. 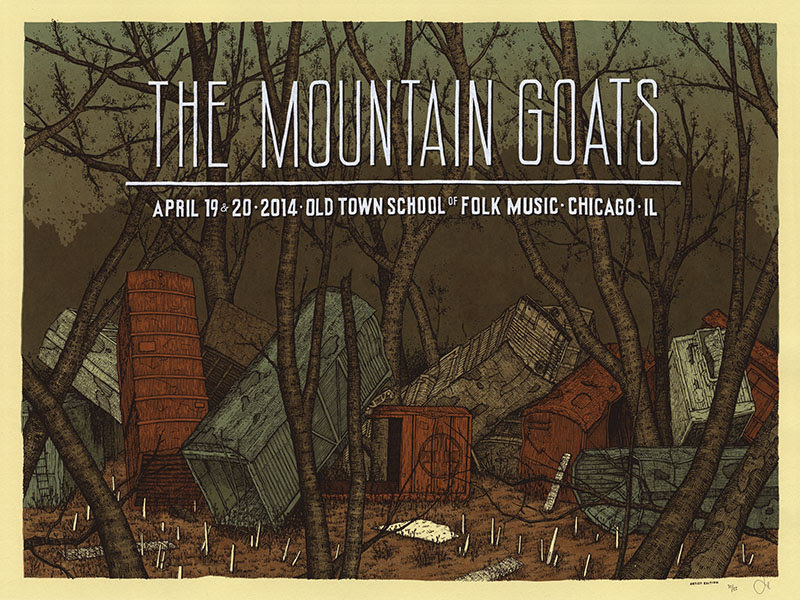 The Mountain Goats poster is an 18″ x 24″ screenprint, has an artist edition of 55, and costs $30. The Baths tour poster is an 18″ x 24″ screenprint, has an edition of 230 (much less online), and costs $25. Oh, and they’re selling some one-of-a-kind test prints for $75 each. All of this in their shop. Landland probably makes the best posters ever made in the world for eternity. Not so bad yourself there Mr. Kelly. Landland always brings the good stuff! Couple of heavyweights showing their love. Nothing like community to warm your heart. Oh my goodness that Mountain Goats poster is especially great!